This Quiz is Making Me Thirsty! Seinfeld Quiz: 12/6! Yada, Yada, Yada! 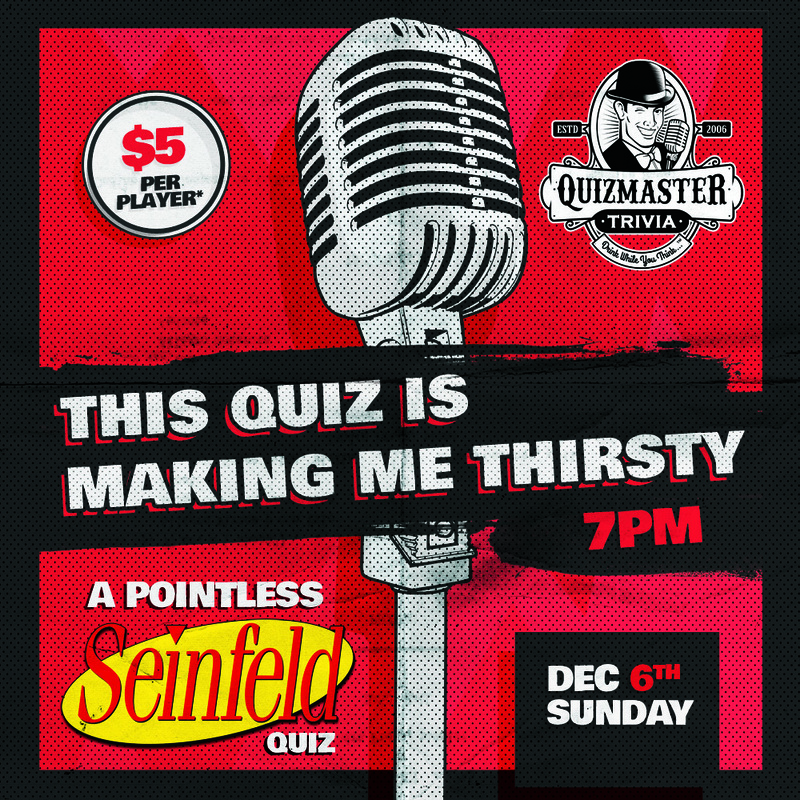 Good news Wisconsin, our second all-things Seinfeld Quiz is coming to a location near you on Sunday December 6th! Importantly, the Packers do not play that day (as they play the Lions on Thursday Dec. 3rd) so that leaves your Sunday empty of fun.... not that there's anything wrong with that! Fill the void with our awesome Seinfeld Quiz. All quizzes will start at 7pm! We hope to confirm venues in La Crosse, Appleton and Green Bay soon! The quiz will be up to $5/person (but no more) at select locations, and may even be free at certain venues.